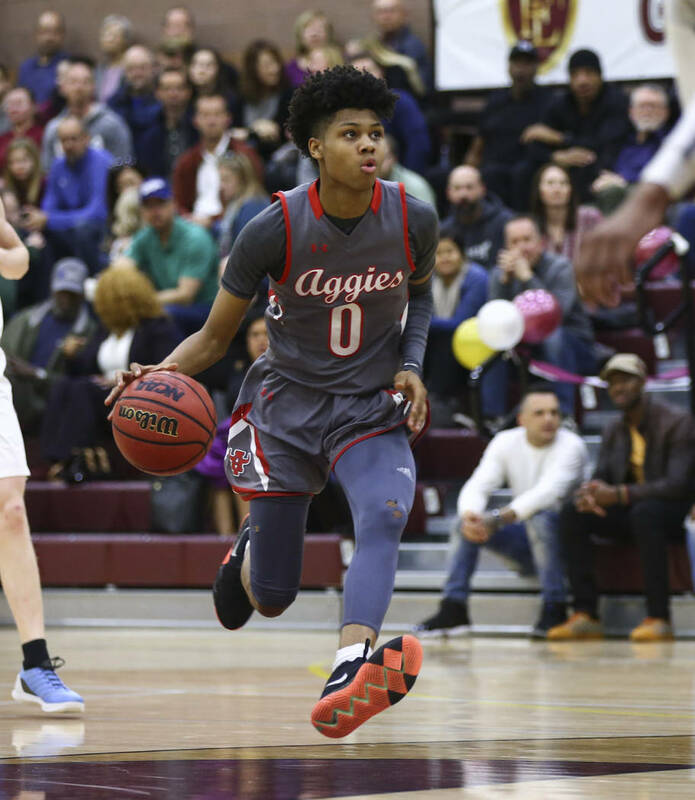 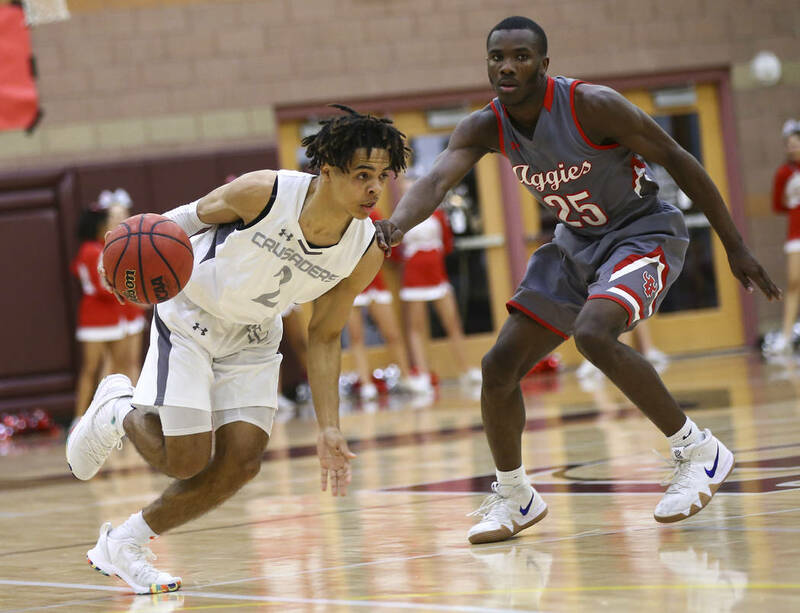 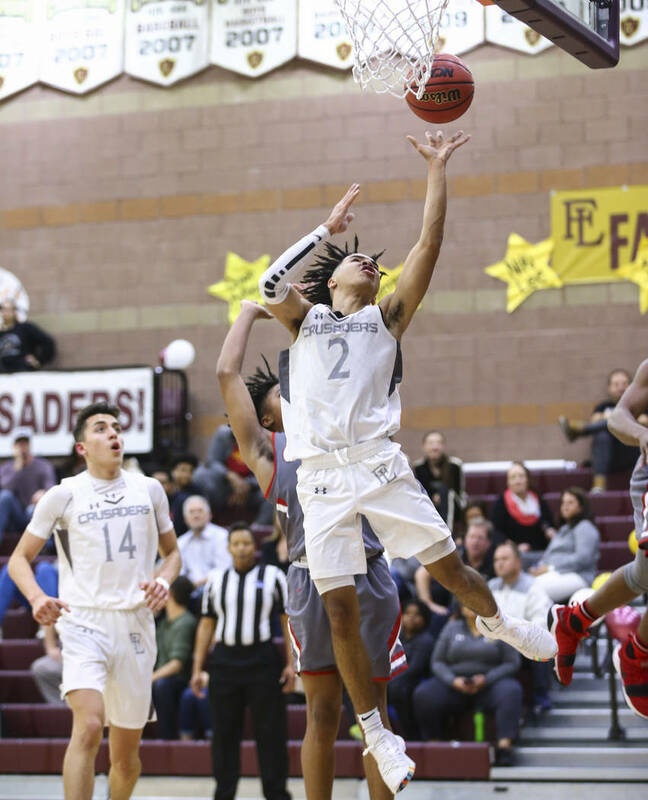 Brevin Walter scored 35 points as Faith Lutheran rode its seniors to a thrilling 82-78 home win over Northwest League-leading Arbor View on Thursday. 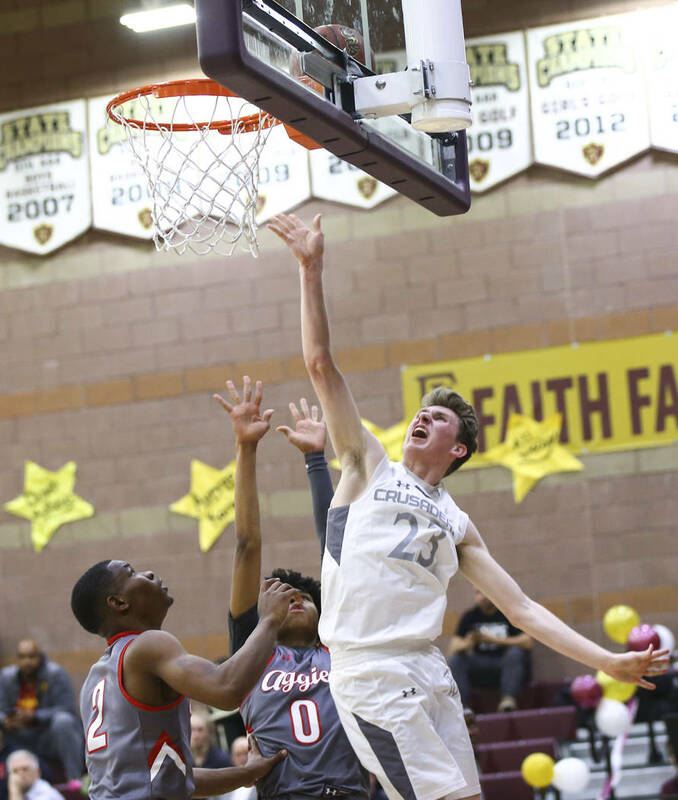 No one would have blamed Faith Lutheran boys basketball coach Bret Walter for gushing over his son’s play on Senior Night. 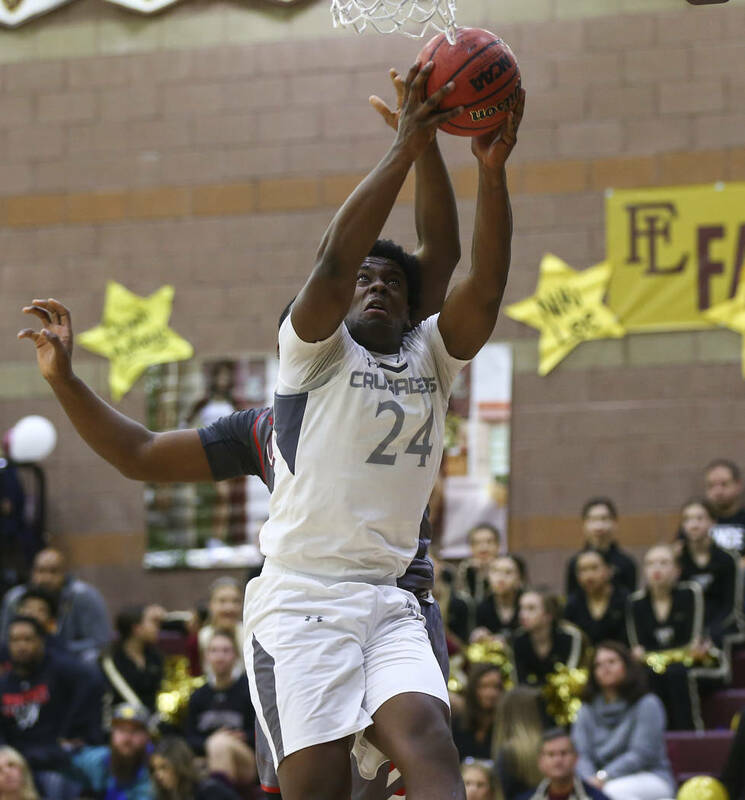 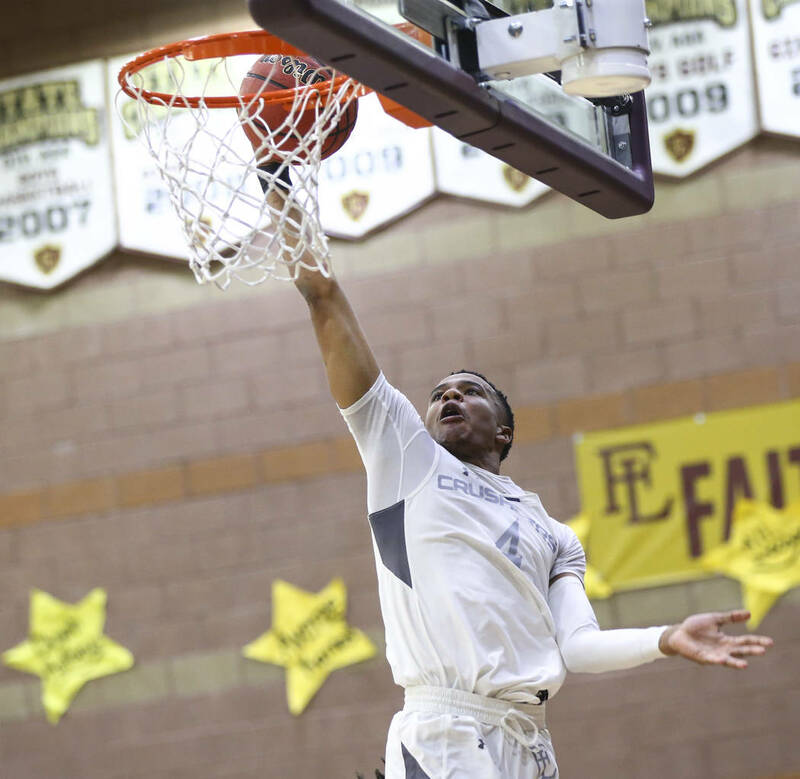 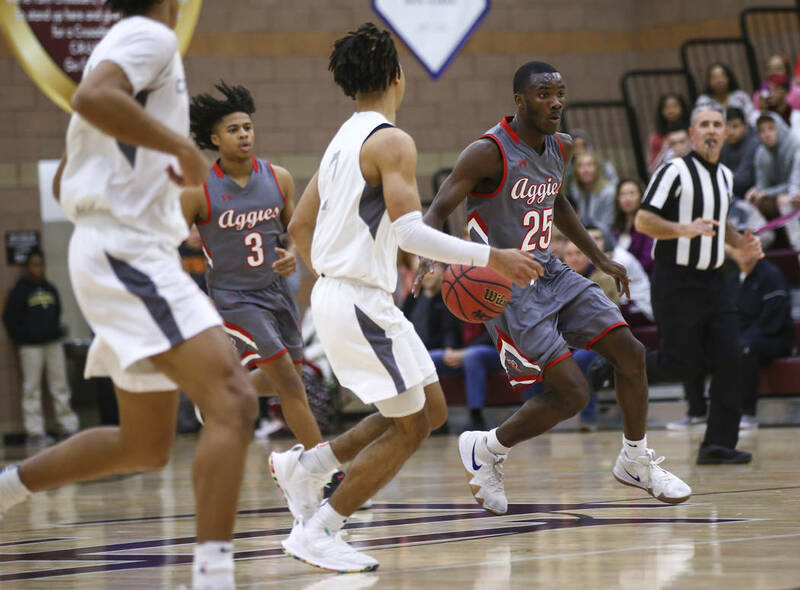 The veteran coach was proud of Brevin Walter’s 35-point effort but was quick to point out how every one of his Crusader seniors had a hand in a thrilling 82-78 home win over Northwest League-leading Arbor View on Thursday. 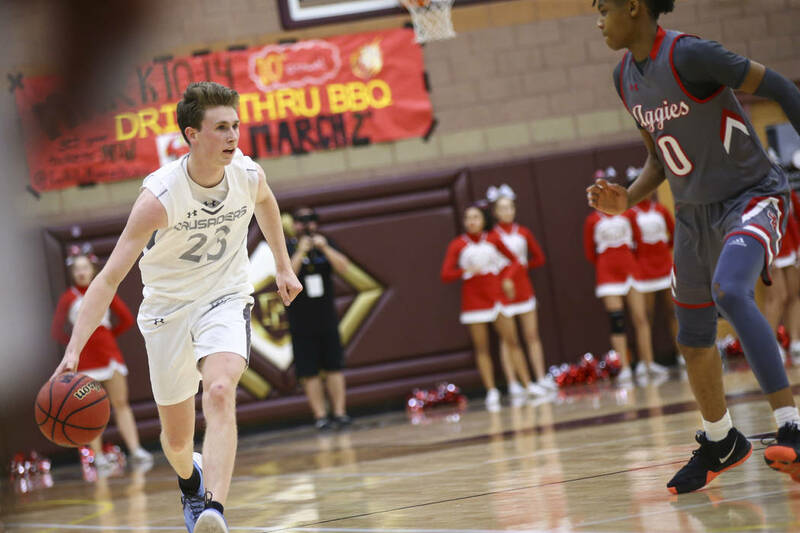 Brevin Walter scored 21 of his points in the second half and came up with one of the biggest plays of the game, grabbing an offensive rebound and forcing a held-ball situation with 21.8 seconds left. 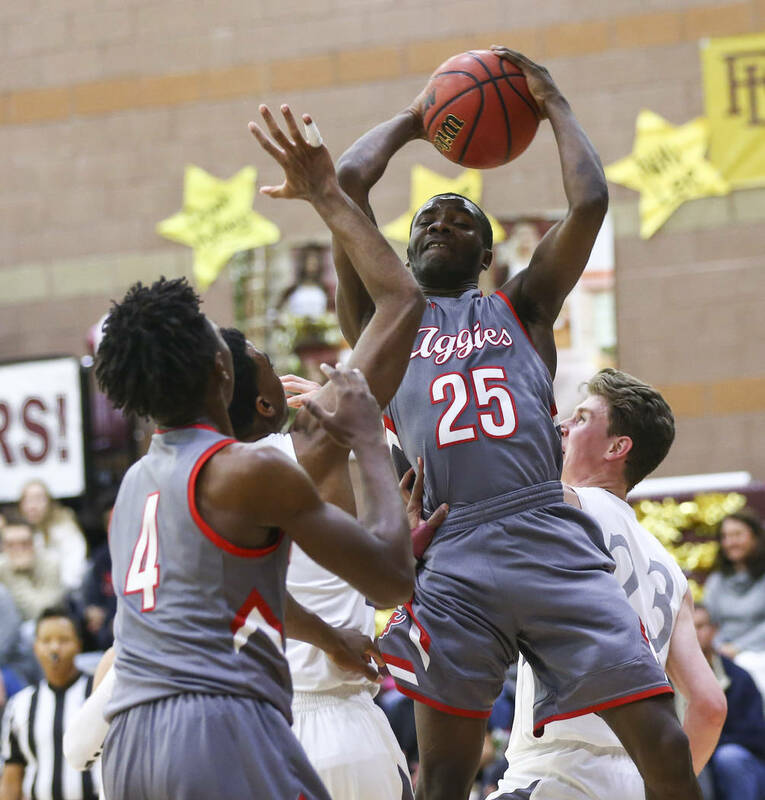 Faith Lutheran (16-7, 8-3 Northwest) led 75-73 when Brevin Walter lunged for a rebound and battled Arbor View post Jaylon Lee for possession. 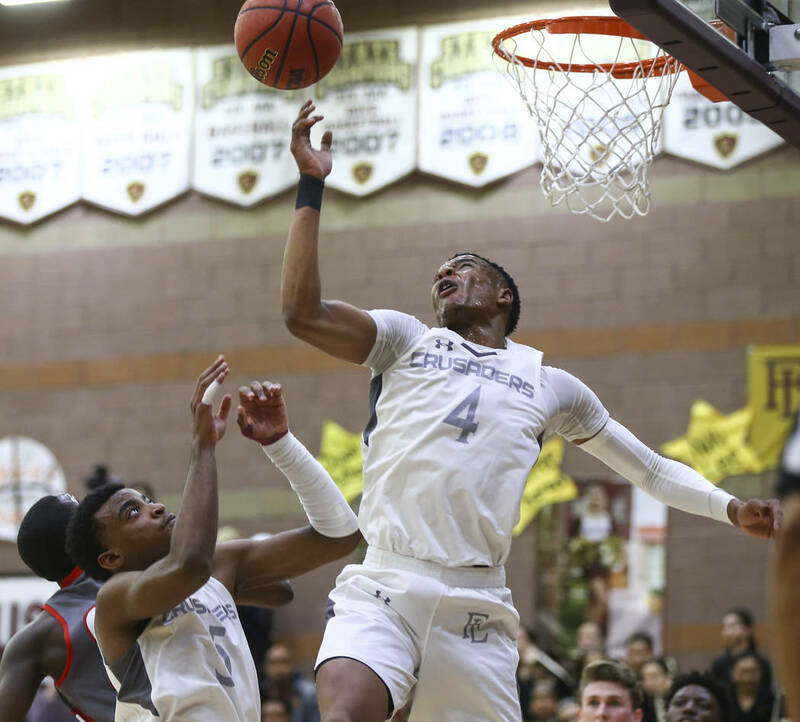 Walter ended up on his back as officials first called a jump ball, then whistled Lee for a technical. 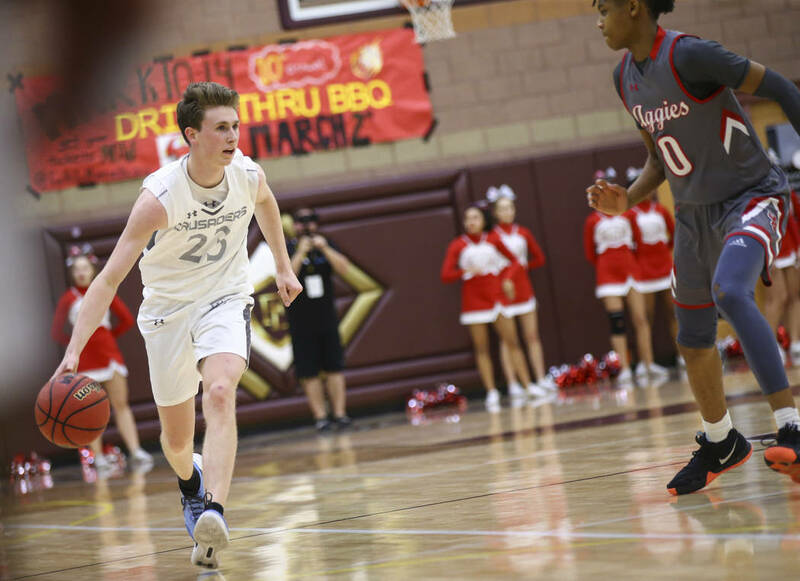 Brevin Walter made both free throws, then was fouled on the inbounds play and hit two more free throws for a 79-73 lead with 20.4 seconds left. 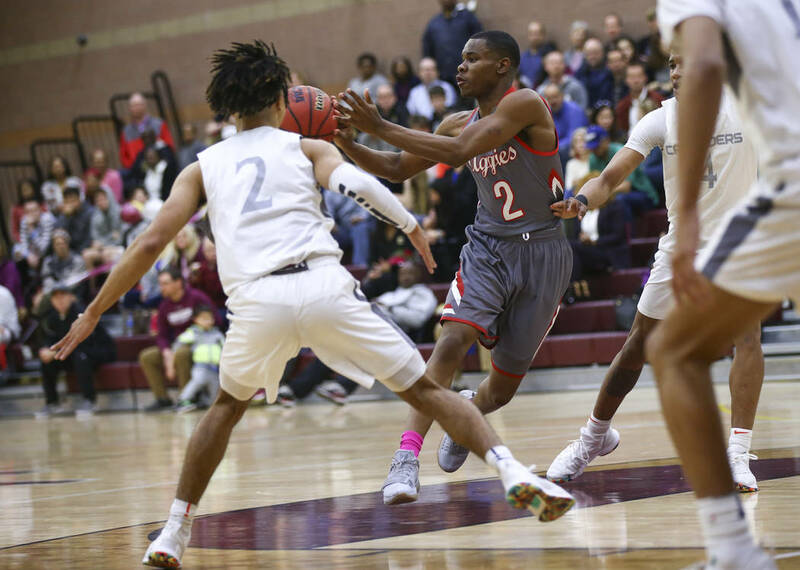 Arbor View’s Donovan Yap, who scored 27 second-half points, including 19 in the fourth quarter, hit three free throws with 16.6 seconds to play but fouled out less than a second later. 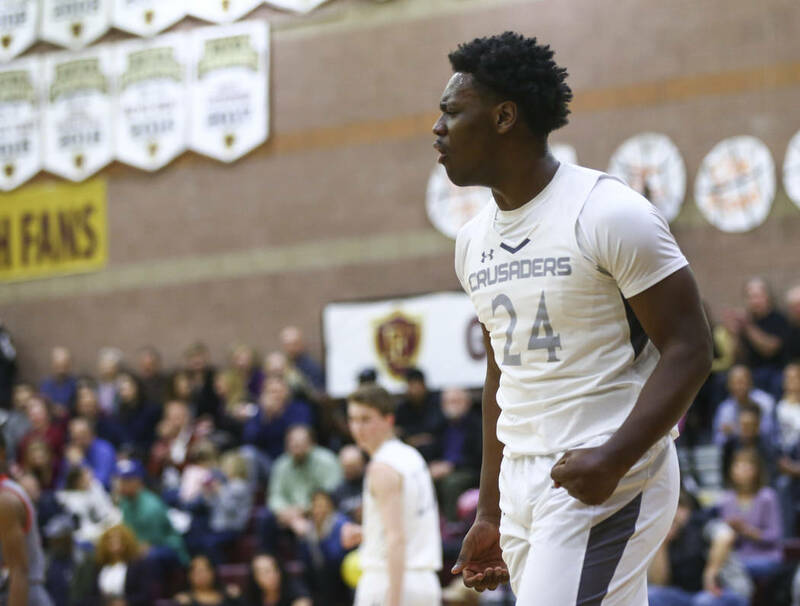 Walter hit two more free throws, and the Crusaders survived. 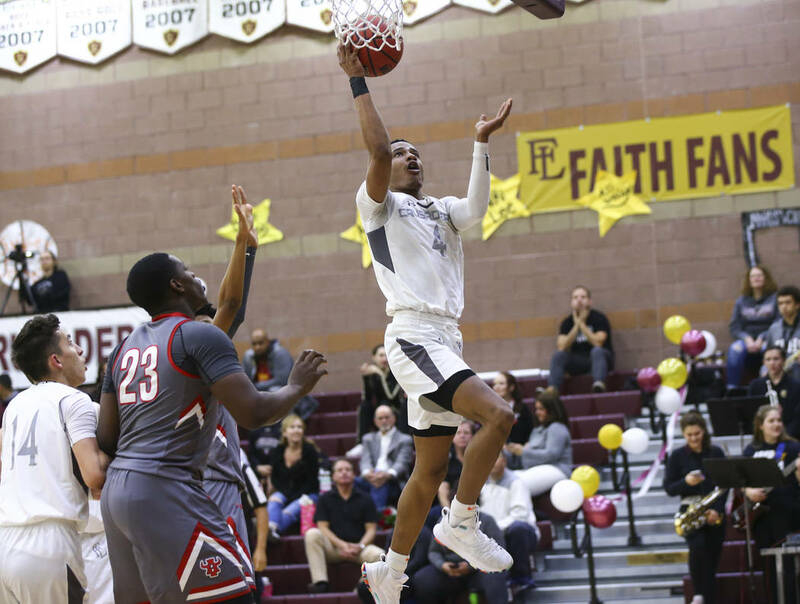 Senior Donovan Jackson added 17 points for Faith Lutheran. 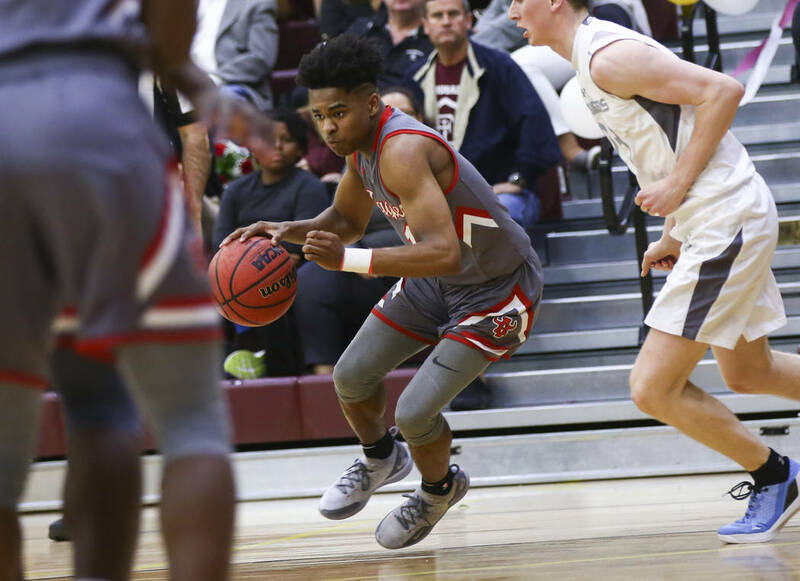 His driving back-door layups opened the door for more perimeter shooting by Brevin Walter and Sedrick Hammond, who finished with 11 points. 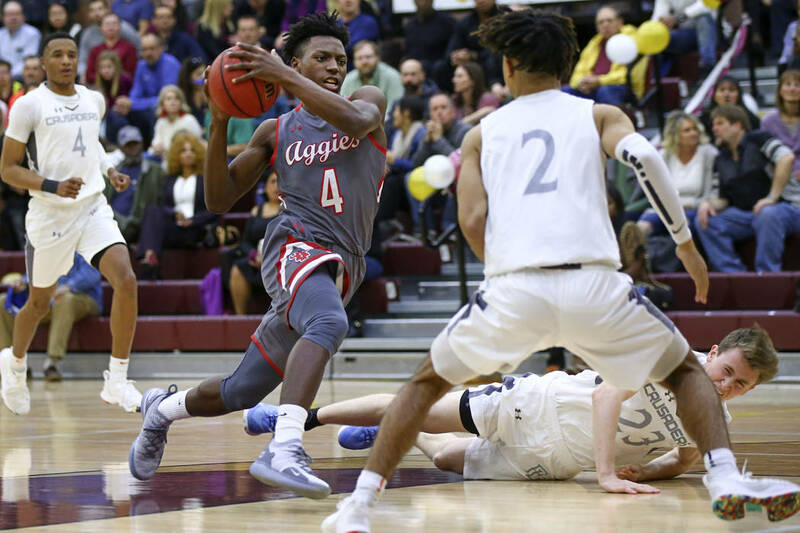 Yap led Arbor View (19-6, 9-1) with 29 points, with Favor Chukwukelu adding 17 and Tyre Williams 12. 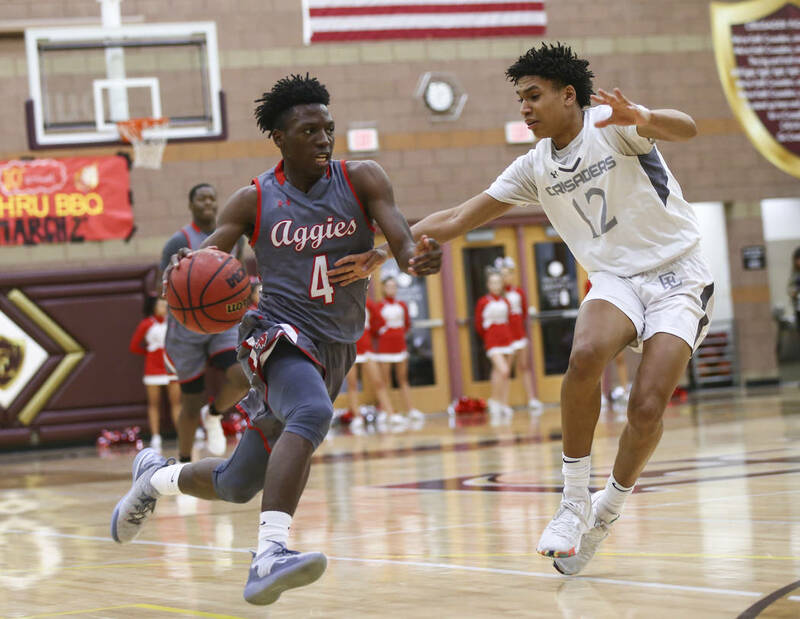 The Aggies still need one win to clinch their first league title since 2014.